Last year, the National Journal asked a group of Republican senators and House members: "Do you think it's been proven beyond a reasonable doubt that the Earth is warming because of man-made problems?" Of the respondents, 23 percent said yes, 77 percent said no. In the year since that poll, of course, global warming has seized a massive amount of public attention. The U.N.'s Intergovernmental Panel on Climate Change released a study, with input from 2,000 scientists worldwide, finding that the certainty on man-made global warming had risen to 90 percent. So, the magazine asked the question again last month. The results? 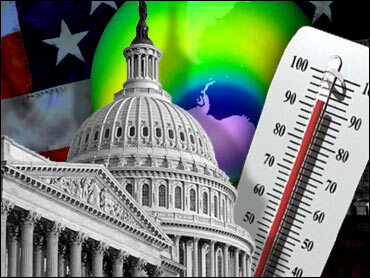 Only 13 percent of Republicans agreed that global warming has been proved. As the evidence for global warming gets stronger, Republicans are actually getting more skeptical. Al Gore's recent congressional testimony on the subject, and the chilly reception he received from GOP members, suggest the discouraging conclusion that skepticism on global warming is hardening into party dogma. Like the notion that tax cuts are always good or that President Bush is a brave war leader, it's something you almost have to believe if you're an elected Republican. How did it get this way? The easy answer is that Republicans are just tools of the energy industry. It's certainly true that many of them are. Leading global warming skeptic Representative Joe L. Barton (R-Texas), for instance, was the subject of a fascinating story in the Wall Street Journal a couple of years ago. The bottom line is that his relationship to the energy industry is as puppet relates to hand. But the financial relationship doesn't quite explain the entirety of GOP skepticism on global warming. For one thing, the energy industry has dramatically softened its opposition to global warming over the last year, even as Republicans have stiffened theirs. National Review magazine, with its popular Web site, is a perfect example. It has a blog dedicated to casting doubt on global warming, or solutions to global warming, or anybody who advocates a solution. Its title is "Planet Gore." The psychology at work here is pretty clear: Your average conservative may not know anything about climate science, but conservatives do know they hate Al Gore. So, hold up Gore as a hate figure and conservatives will let that dictate their thinking on the issue. Representatives Roscoe Bartlett, R-Md. and Vernon Ehlers, R-Mich., both research scientists, also were denied seats on the committee. Normally, relevant expertise would be considered an advantage. In this case, it was a disqualification; if the GOP allowed Republican researchers who accept the scientific consensus to sit on a global warming panel, it would kill the party's strategy of making global warming seem to be the pet obsession of Democrats and Hollywood lefties. You can tell that some conservatives who want to fight global warming understand how the psychology works and are trying to turn it in their favor. Their response is to emphasize nuclear power as an integral element of the solution. Senator John McCain, who supports action on global warming, did this in a recent National Review interview. The technique seems to be surprisingly effective. When framed as a case for more nuclear plants, conservatives seem to let down their guard.